Parathas provide variation to your daily menu. As I have shared with you in my earlier posts, there are different types of parathas. Today I wish to share with you, the tried and tested methi (fenugreek leaves) paratha recipe. Let’s proceed with the preparation. Method: Chop off the root portion of fenugreek leaves and wash them in running water. Drain well. 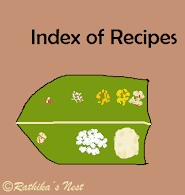 Mix atta, methi leaves, and all other ingredients except oil in a bowl. Add required water and kneed into a firm dough. Add oil and kneed very well. Allow it to stand for 15-20 minutes. Later divide the dough into 12 equal parts and roll them into balls. Roll out each ball into circles of about 7-8” in diameter, using a rolling pin on a board dusting with flour as needed. Repeat the process with remaining dough balls. Heat a tava on medium flame. Place a rolled out paratha on the tava. Apply ghee along the edges. Cook for a minute. Turnover and cook the other side till brown spots appear on both sides. Cook all the parathas in the same manner. Serve hot with any curry or pickle and curds.